There are 2 types of activation, Free Activation and Professional Activation. No matter which type of activation you choose to start with, you can always switch to the other type of activation anytime later. Most importantly, there is NO lock-in for Professional Activation — upon expiry of your Professional Activation: you may renew existing activation plan, or choose other activation plan, or just switch to Free Activation. If you write blogs or update Twitter status casually, you may choose Free Activation, as it is FREE but subject to daily posting limits. Blog posting/ update — FREE 10 times of new posting/ update DAILY. Subsequent posting/ update on the same day requires 2 credits each. Twitter status update — FREE 10 times of new status update DAILY. Subsequent update on the same day requires 2 credit each. 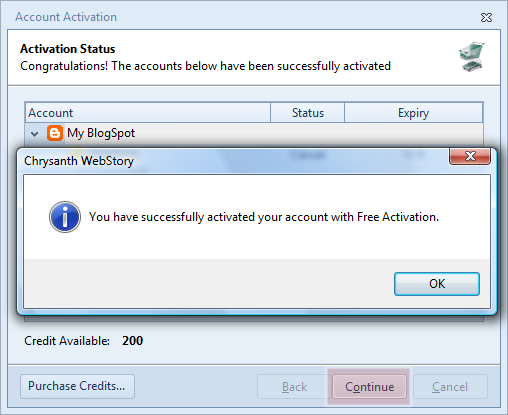 Click Next and WebStory will show you an Activation Confirmation detail. 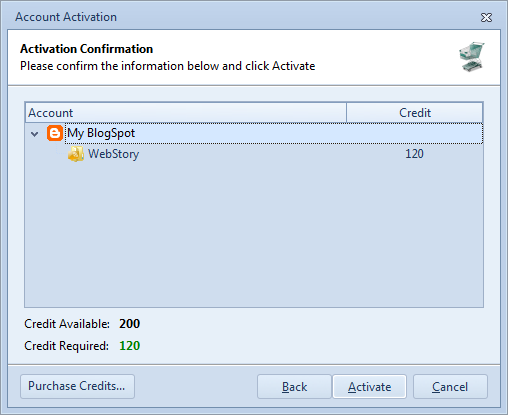 Here you will see that you can perform Free Activation for free as the Credit Required is 0. 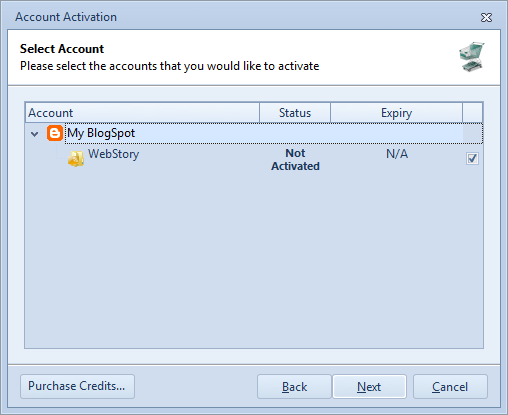 Upon successfully activating your blog or microblog, you will be prompted with a confirmation message from Self.my server, and you are done with your Free Activation now. You may then click at the Continue button to proceed with the rest of your account setup. If you blog for a living or you blog passionately, it is highly recommended that you start with Professional Activation. You will enjoy the true freedom and fun of blogging with WebStory, i.e. all the benefits of Free Activation MINUS the limitations! Then you will be presented with the activation scheme available for Professional Activation. In the window below, we will see 2 schemes available, i.e. Monthly and Yearly. It is highly recommended that you go with the Yearly scheme as it offers the greatest savings. With Yearly scheme, you are free to publish unlimited blog post or microblog status within a year. 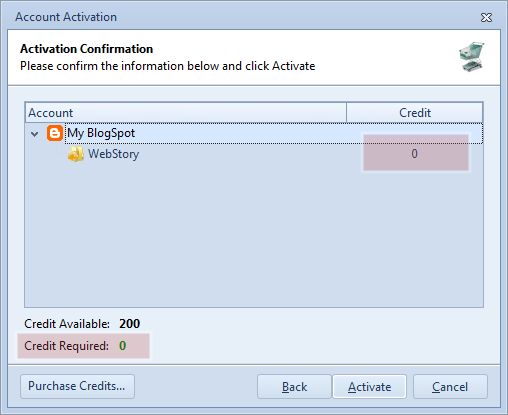 On the next screen, you will need to select the blogs or microblogs that you would like to activate with the selected scheme. 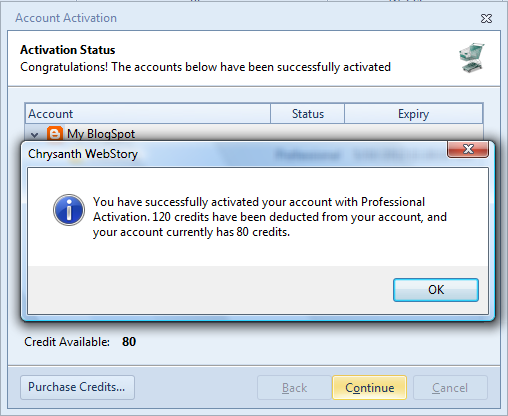 Click Next and WebStory will automatically calculate the credits required for current activation. To complete the activation, click Activate. 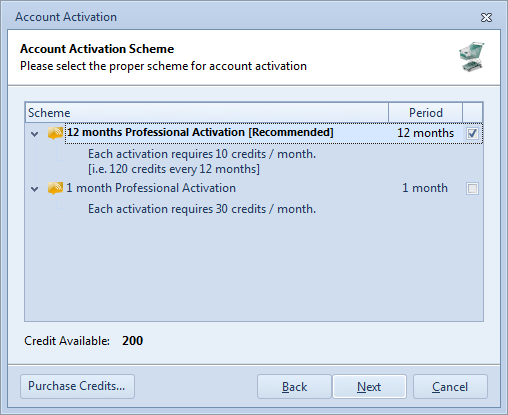 The window below prompts that you have successfully activated your account with Professional Activation and the credits deducted for the activation. 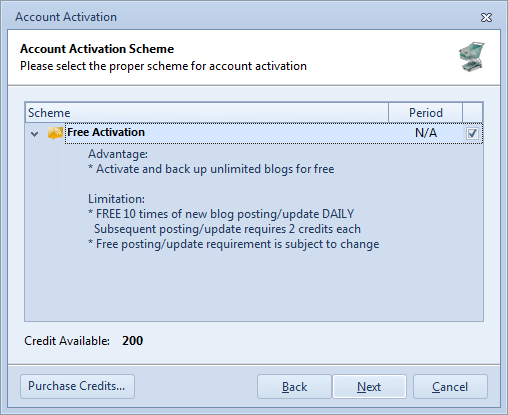 If your blog or microblog is still within the valid activation period, trying to re-activate will not deduct further credits from your account. i hope with version after it will…. can it help spin content? May I know what do you mean with “spin content”? I see now, then it’s not yet possible with current version.